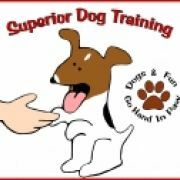 I will talk about training equipment, harnesses and their effectiveness, head collars, leashes, what type to choose for your dog. You can share dog events in your area also. I am a certified trainer in the Raleigh, NC area and my goal is to help dog owners everywhere have a happy, well mannered dog. A dog that you are happy to play with and enjoy, bring on outings and make true member of your family, not just a house ornament. Dog owners and trainers welcome! We use only positive methods in this group, discussions of Shock collars and aversive techniques will not be tolerated! How do you control your dog while walking?